Properties in Cape Cod Theatre Company – Home of the Harwich Jr. Theatre average 4.7 out of 5 stars. Cape Cod Oceanfront Beachfront New Condo with Ocean View & Private Sandy Beach! 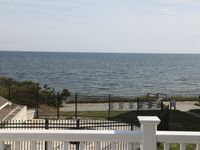 Property 6: Cape Cod Oceanfront Beachfront New Condo with Ocean View & Private Sandy Beach! AFFORDABLE OCEAN EDGE CONDO FOR FOUR! Property 11: AFFORDABLE OCEAN EDGE CONDO FOR FOUR! New Listing on VRBO. Charming Cape Cod Escape! Property 13: New Listing on VRBO. Charming Cape Cod Escape! Pristine Year Round Retreat in Private Lewis Bay Compound w/video tour! Property 15: Pristine Year Round Retreat in Private Lewis Bay Compound w/video tour! Cozy studio cottage - within walking distance of the beach and dining! Property 16: Cozy studio cottage - within walking distance of the beach and dining! Harwichport Center Condo, Walk to Beach! Property 17: Harwichport Center Condo, Walk to Beach! UPGRADED CONDO FOR 6 CLOSE TO COCKLE COVE BEACH! Property 19: UPGRADED CONDO FOR 6 CLOSE TO COCKLE COVE BEACH! Enjoy the beautiful views of Bass River! Property 21: Enjoy the beautiful views of Bass River! #422: Waterfront w/ amazing views! Boat Dock; Dog Friendly! Property 25: #422: Waterfront w/ amazing views! Boat Dock; Dog Friendly! Property 26: Home Away From Home! 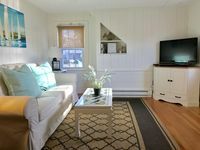 Cozy Cape Cod studio, 5 minute walk to beach - great weekend getaway! Property 27: Cozy Cape Cod studio, 5 minute walk to beach - great weekend getaway! Walk to Haigis & Glendon Road Beaches! 2BR condo with private patio and WIFI! Property 30: Walk to Haigis & Glendon Road Beaches! 2BR condo with private patio and WIFI! Mayflower Beach and Dennis Village rental. North of Rte 6A on Beach Street. Property 33: Mayflower Beach and Dennis Village rental. North of Rte 6A on Beach Street. #906: Newly Updated, Minutes to Beach & Town, Great Outdoor Space! Property 36: #906: Newly Updated, Minutes to Beach & Town, Great Outdoor Space! BEST PRICE AT OCEAN EDGE RESORT! Property 42: BEST PRICE AT OCEAN EDGE RESORT! Barnstable Condo - 300 Feet to Craigville Beach! Property 44: Barnstable Condo - 300 Feet to Craigville Beach! #907: Newly Updated, Minutes to Beach & Town, Large Outdoor Private Deck! Property 47: #907: Newly Updated, Minutes to Beach & Town, Large Outdoor Private Deck! Cape Cod condo at Ocean Edge resort. Property 50: Cape Cod condo at Ocean Edge resort. We went for a weekend, during the cold February winter and yet we enjoy the house and the surrounding. The view from the master bedroom is lovely. The house was clean and comfortable, the gas fireplace was very enjoyable. This rental was perfect for our Girls Gettaway weekend! The apartment was clean, fresh, cosy and so nicely decorated! The location was excellent. We enjoyed a walk to the beach and spent the rest of the day enjoying local shops and eateries. Came home to enjoy pie and a Hallmark flick on TV. Christine (the owner) was extremely responsive and helpful with all of our inquiries. We would definitely recommend this rental and would happily return.